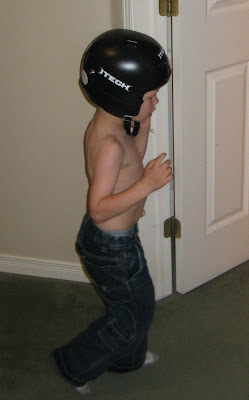 In one of BigE's pre bed energy spurts he took off running around the upstairs wearing Momma's new hockey helmet. Yes that does say something about somebody's head size. Posted by PB at 8:14 a.m.